The 6235 Series Novitec Roughing Bit is designed for hogging/roughing cuts using higher feed rates in a variety of applications. Great for rebating and jointing, the Novitec bit offers a superior chip removal rate with interchangeable cutting pins. 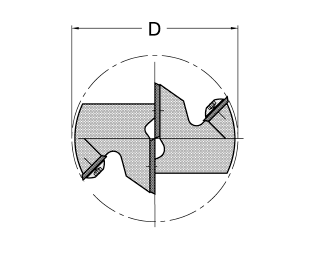 The cutting pins are re-grindable several times which makes this bit an economical choice for machining thick materials and a great choice for plywood, particleboard and composite panels. This tool is not recommended when emphasis on superior finish is important. 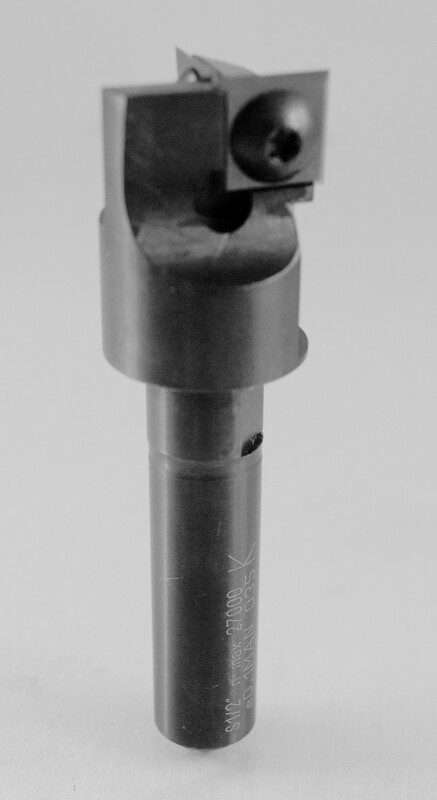 The durable, high-density tool body has a series of cutting pins on the sides with a single plunge cutting tip. The standard version comes with straight cutting pins, however, up or down shearing pins are also available. 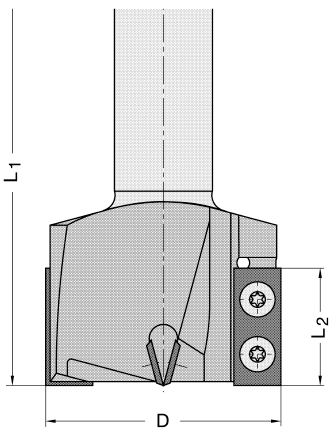 Pins can be selected based on individual need, and can be all downshear, can be arranged in a compression style, or can be all upshear. The helical positioning of the cutting pins ensures a high-quality cut with a fast pin exchange and no adjustment needed to keep running (Max – 24,000 RPM). We have these in stock so give us a call at 1-800-544-8436 or contact us now!